Want Abs? Stop the crunches…. Everyone always asks me about what they can do to have abs. I never say more crunches. Crunches are actually a waste of time and are doing more harm than good. Try eating clean and having an exercise program that works your entire core. Read below to find out more about why you should not be doing sit-ups! 1. It causes damage to your back. Dr. Richard Guyer, president of the Texas Back Institute says, “the “full flex” movement—the actual “crunch” part of crunches – puts an unhealthy strain on your back at its weakest point. The section with the most nerves (and most potential for nerve damage) is in the back of the spine, which is the very part that bends and strains during a sit-up.” Of course, no one ever does just one sit-up so think about the amount of strain you are doing by flexing your spine and bending the disk over and over again, that nucleus slowly breaches the layers and causes a disk bulge, or a disk herniation. 2. You aren’t training your entire core. When you do a sit-up the rectus abdominus muscles is the most targeted. When the rectus abdominus is worked it actually gives your stomach an extended look. To get the long, lean look, one needs to work transverse abdominius, a large muscle that holds in the rectus abs, and is mainly unchallenged by sit-up and crunches. 4. HIIT Training and Nutrition. It won’t matter if you have a muscular core if your body fat is still high. Add in high intensity interval training that will work your core and put you in a fat burning zone. Keep your diet in check and eat clean. 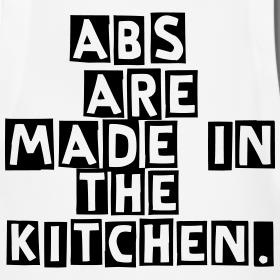 90 percent of having abs is a good diet! What to try? Planks, push-ups, TRX roll outs, and russian twists!